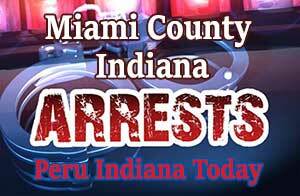 Peru, IN – A traffic stop on Tuesday, March 12, 2019, resulted in the arrest of Roy Monroe, 70 of Peru on a charge of Operating a Vehicle while Habitual Traffic Violator, a level six felony. Mr. Monroe was observed by PPD Officer Derek Rushforth operating a gold 2003 Chevy Astro Van from Park Avenue on West Main Street. As Officer Rushforth followed the vehicle, the driver attempted to activate the turn signal multiple times, despite not initiating a turn. This suspicious activity caused Officer Rushforth to run a vehicle registration inquiry. Officer Rushforth then learned that the vehicle was registered to Mr. Monroe who had a license status of Habitual Traffic Violator. Officer Rushforth initiated a traffic stop on the vehicle as it turned into the parking lot of Kroger on W. Main Street. 12:42 a.m. An officer checked on a suspicious vehicle parked at Village Market after hours in the 300 block of Washington Ave. The vehicle was not occupied. It was an employee locking up and leaving. Checked ok.
1:05 a.m. Traffic stop in the area of Court St. / E. Main St. Warning issued. 1:24 a.m. An officer conducted a patrol of Maconaquah Park. 1:26 a.m. Citizen assistance in the 37000 block of Carswell Ct., Peru. A deputy assisted the caller with advice on child custody. 3:23 a.m. Traffic accident with damage in the area of E. 800 N. / N. 100 E., Denver. Larry Hizer of Denver struck a deer while driving his 2015 Ford F-150 on CR. 100 E., South of CR. 800 N.
5:09 a.m. A report of an alarm in the 3000 block of W. 100 N., Peru. This call was handled by the Indiana State Police. 12:52 p.m. A deputy responded to the report of a suspicious vehicle at the Village Pantry in the 1700 block of N. Foreman Dr., Peru. Unable to locate vehicle. 1:27 a.m. Report of a disabled vehicle in the area of W. Hoosier Blvd./S. US Route 31, Peru. The vehicle was towed by All American Towing. 2:15 a.m. A deputy responded to the report of unsafe driving in the area of W. 850 S./S. US Route 31, Bunker Hill. Unable to locate vehicles. For a year now I’ve been sharing random thoughts with you. I’ve shared recipes. I’ve shared some of my expertise. I hope you’ve learned something and been entertained. I’ve enjoyed every minute. Thank you for coming on this journey with me. I hope you’ll stick with me for the next year, as well. I’d love to hear from you. Is there a topic you’d like for me to cover? Is there a cuisine you’d like me to explore? Just let me know. In the meantime, I thought I’d share my family’s favorite spaghetti sauce recipe. It’s undergone some changes through the years. I first got it from a family I attended church with as a teen. If I recall properly (that was a lot of years ago), the family had Sicilian roots, and this was a family recipe. Over the years I first adjusted it to add a bit more heat. More recently I’ve removed a little of the heat and made it a bit sweeter. To be honest, I don’t really use a recipe anymore unless I’m making it for company. This week’s Adoptable Cat from The Scratching Post Cat Rescue Inc. is Electra! 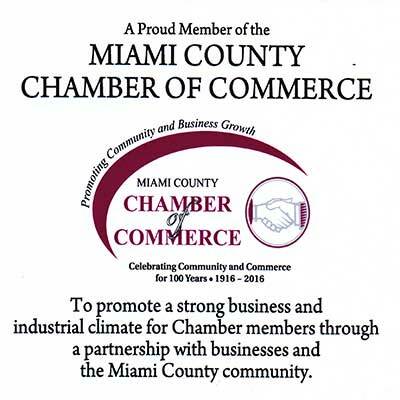 Peru, IN – A Peru woman is facing charges of Possession of Marijuana, Possession of Methamphetamine and Possession of Paraphernalia following her arrest on two Miami County Warrants on Tuesday, Marcy 12, 2019. According to a probable cause affidavit filed by PPD Officer Tyler Shoffner, officers were dispatched to the 20 block of S. Park Avenue at approximately 3:08 p.m. on Tuesday, March 12, 2019, regarding a complaint from the property manager. Shoffner and PPD Sergeant Raber responded to the call and were advised by the manager that there was an unknown white male inside one of the trailers. The manager advised that the trailer was supposed to be vacant and he would like him to leave. Officers went to the identified trailer and knocked on the door. A male whose name is redacted from the report by the prosecutor’s office answered the door. The man advised that he was cleaning the property as a favor to his friend that used to live there. The male was asked if anyone else was present in the trailer and he stated that his girlfriend, Melinda E. Millican was sleeping in the bedroom.